Preheat oven to 180°C (350°F). Place the flour, sugar, egg, oil, yoghurt and vanilla in a bowl and mix until just combined. Gently fold through the oats and blueberries. 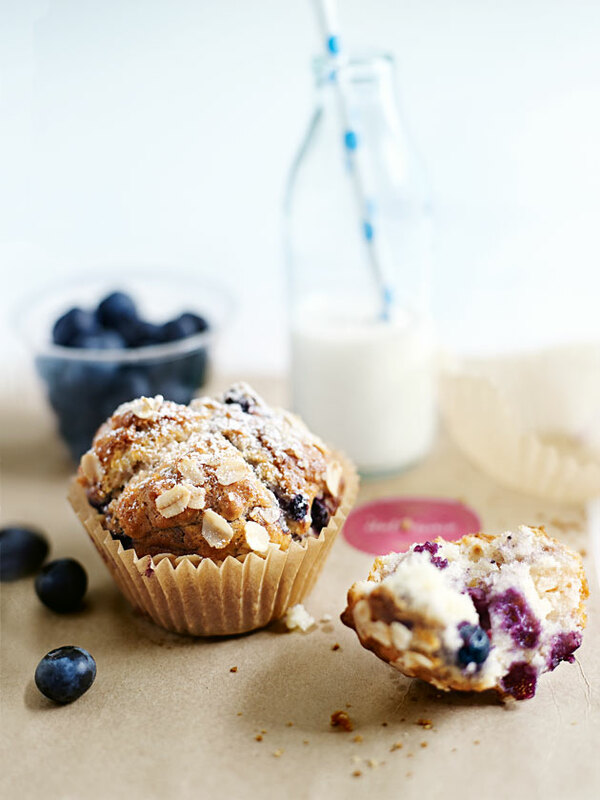 Divide the mixture between 12 x ½ cup-capacity (125ml) muffin tins lined with paper cases. Sprinkle with extra oats and sugar and bake for 25–30 minutes or until golden and cooked when tested with a skewer. Turn out onto a wire rack to cool. Makes 12. Such a great recipe! To make it even healthier I substituted the white flour for wholemeal. They turned out delicious!